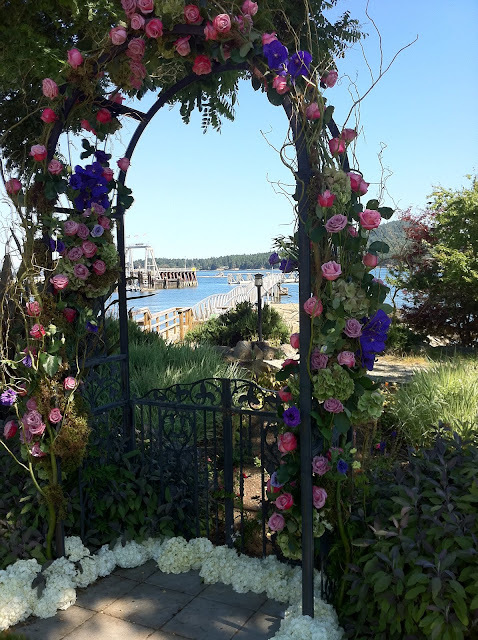 This past weekend, a florist and several designers headed over to Galiano Inn & Spa on Galiano Island, BC for a destination wedding. 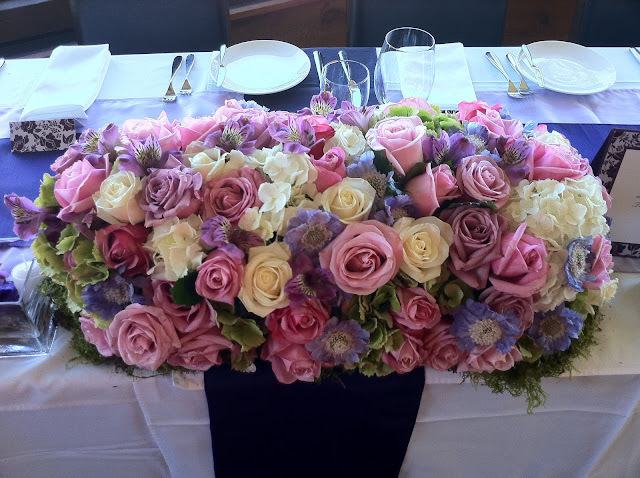 The bride and her mother LOVED flowers, so the decor design of the wedding was completely focused on flowers. Here are a few photos that our designer took. We are awaiting photos from the photographer, Chris Boar. The ceremony took place outside, in a location that overlooked the water. The weather was perfect! 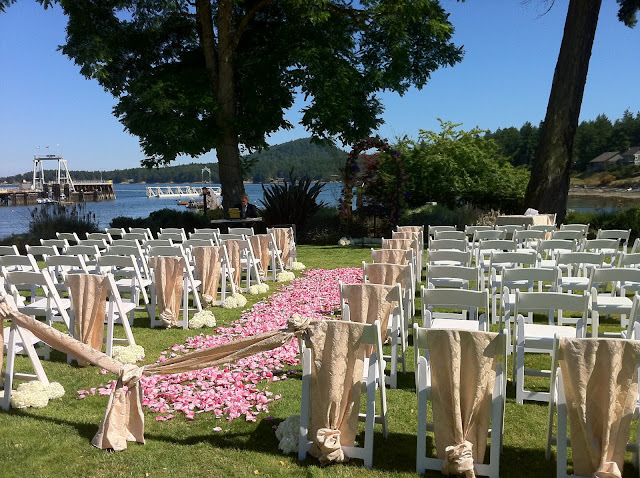 A blanket of roses were spread across the entire aisle, creating a stunning walkway for the bride and bridal party. The bride and groom got married under this archway. It was completely saturated in flowers, and really flowed with their "flower" theme. 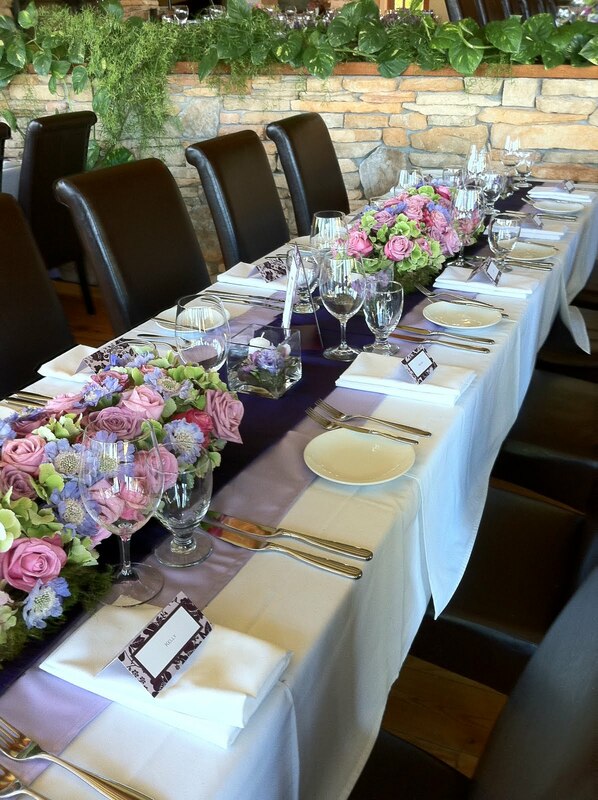 The guests tables had a eggplant runner for the base, and were lined with long floral arrangements. They looked incredible! This is a close-up of the flower arrangements that were made for the head-table. 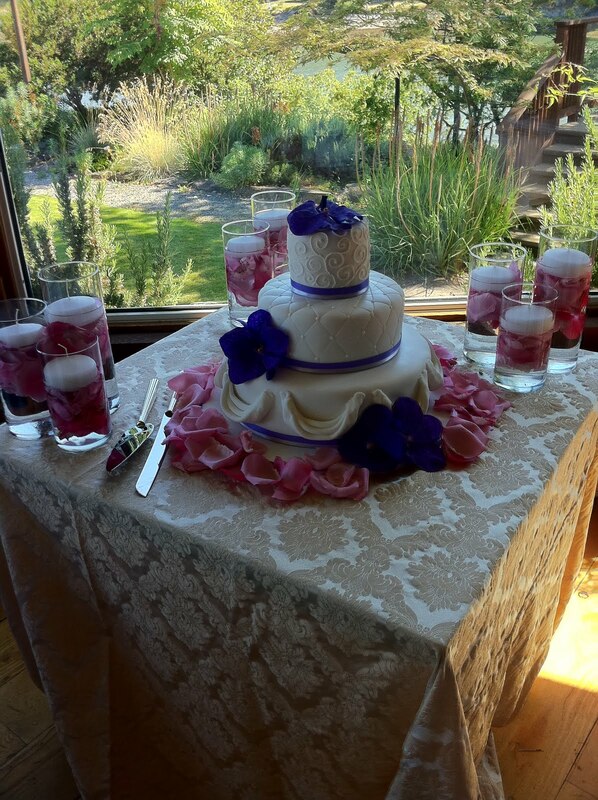 The colors were so gorgeous, and both the bride and her mom loved them. We just wanted to thank you all from the bottom of our hearts for this wonderful wedding. Jolanta sent me an e-mail saying that this was the most spectacular day of their lives. Everything was just perfect and went smoothly. Flower arrangements and bouquets were phenomenal. We will remember this wedding for the rest of our lives. Meggie, Ken, Jolanta and Shane.